Christmas is fast approaching and it is important to be prepared for any Corporate Events or Private Functions you have planned around the festive season! Ireland’s most original and extravagant booking agency has you covered! 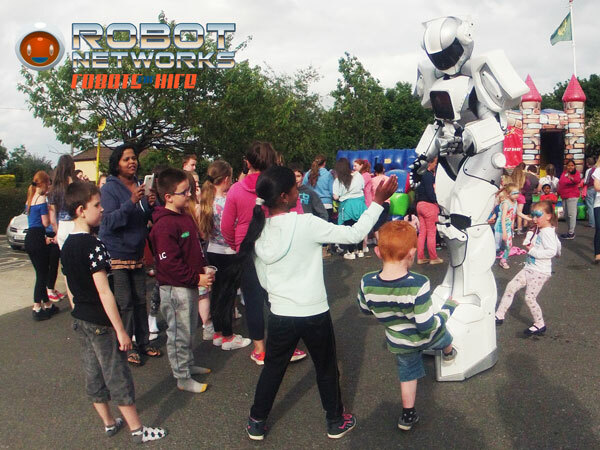 Robot Networks provides a huge array of bionic acts that are sure to bring the WOW Factor to yours guests at this years Christmas and Winter Parties. Greet your guests in style with Robot-TED, our 8ft tall, dancing robot, with a full LED and iPad display. Currently the only Robot of its kind to book in the whole country, TED will surely have your guests in awe before they even step foot in the door! How about a Santa Transformer Robot? Young and old alike will not be able to wipe a big grin off of their faces. 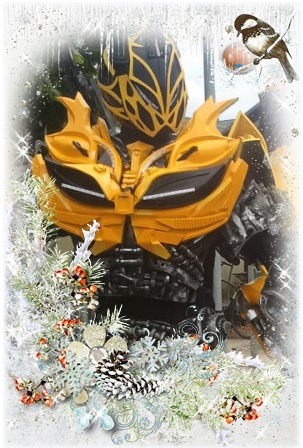 Bumblebee you can be assured knows how to spread some Christmas cheer. Our fantastic Storm Troopers replicates will delight any Star Wars fan and the two Star Troopers serve fantastically as Greeting Hosts to any Christmas Function, whether it’d be a Private Party, Corporate Christmas Event, Kid’s Get Together or a Shopping Mall Christmas Sale Launch – they are the perfect robots for hire in Ireland for you! We also provide a number of music acts including the amazing ‘Bot Band’, a four-piece robot band with Ted as their front man. Need a DJ? We represent one of Ireland’s most exciting tribute acts ‘Daft Punk Tribute’, guaranteed to provide the most amazing entertainment at your Christmas party! …or to avoid any noisy disturbances and interruptions, why not try out a Christmas clad Silent Headphone Disco? Make sure to book soon though, as the festive season is fast approaching and these guys are sure to be booked out in the coming weeks! Our promise is to provide you with fully professional and outstanding entertainment to ensure your Christmas Event is a huge hit with friends, colleagues, young & old and family alike. For more information get us via our contact form to book these any of these amazing acts and many more.